Experience glorious holiday in Q Hotel Udaipur with a wide array of facilities catering to the every need of elite businessmen and leisure travelers. Q Hotel is well situated and located within 2 Kilometers from city centre of Udaipur and is a very comfortable, affordable & cozy staying option. The Q's cool and stylish ambience is an illustration of picturesque and exquisite beauty. Q is ideal Udaipur hotel combining luxury with rates to suit the business or leisure budget. The delectable and luscious cuisines at its restaurants, its superior banquet services and its dedicated and gracious staff make your stay an experience that you would like to cherish forever. Evocative of the grandeur of the royal era, the rooms of Q Hotel (Best Hotel Udaipur) are characterized by esthetically decorated interiors. Our rooms are spacious, comfortable and equally affordable for any budget. The hotel features a rooftop Restaurant"Charcoal Lounge" which serves large variety of Mocktails & Biters. 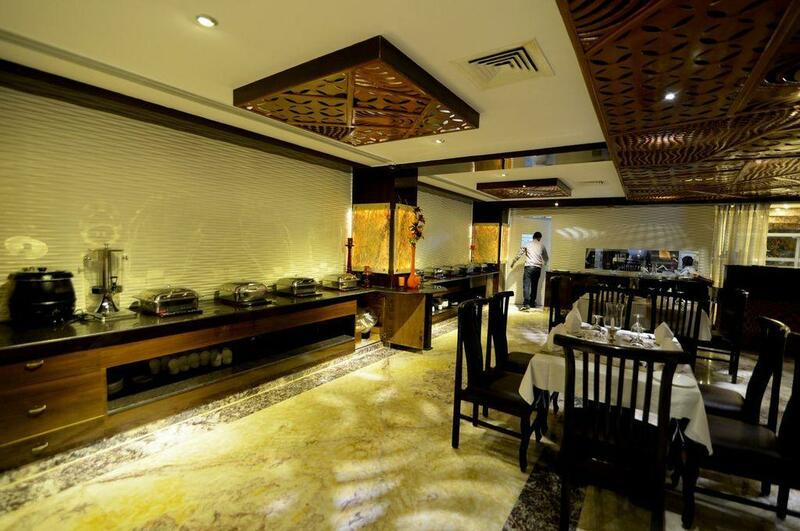 The Vegetarian fine dining restaurant "Jhalak" offers a variety of toothsome Continental, Indian and Rajasthani cuisine. It also features Wi-Fi enabled Lobby and rooms, a Boardroom, a Banquet Hall and a host of business-friendly amenities to meet the needs of today's business travelers. It is very conveniently situated near the airport, the important sightseeing spots, shopping malls etc. Contact us for budget stay, business & leisure travel or royal wedding venue in Udaipur. Wedding Services, Airport Transportation, Front Desk, Parking, Business Facilities, Breakfast Services, Laundry Facilities, Catering, Exhibit Space, Swimming Pool. Basic Bathroom Amenities, Reading Lamps, Complimentary Newspaper, H/C Water, Complimentary Toiletries, Ceiling Fan, Moisturiser, Child Care, Smoking Rooms, Desk. User reviews for "Q Hotel Udaipur"